Discover the expert collection of skincare and bodycare tools from Magnitone London to help you supercharge your bodycare regimen. Magnitone London have created a beautiful collection of products which help to naturally condition your skin, working in harmony with your body’s natural processes to leave you looking and feeling your absolute best. 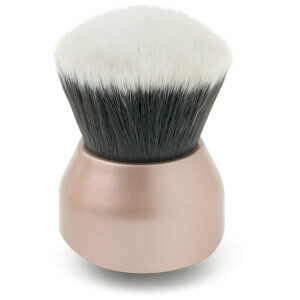 The Magnitone Go Bare! 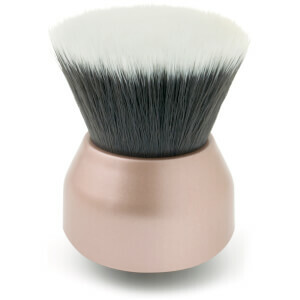 Rechargable Mini Lady Shaver will you to achieve silky smooth, hair-free skin quickly and easily. 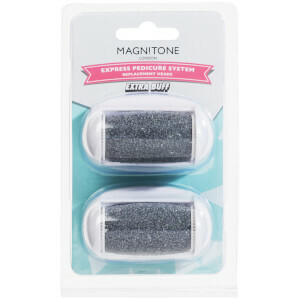 Magnitone’s floating SkinSoft shaving head works to reach all of the contours of the body, helping to remove even the shortest hairs without causing irritation or redness. Easy to recharge, the shaver provides up to 100 minutes of use. Their Well Heeled! 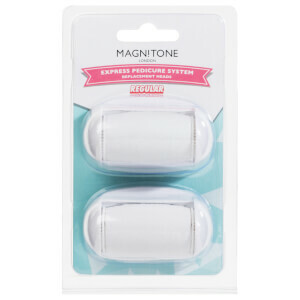 Express Pedicure System will help you to achieve super smooth, polished feet. 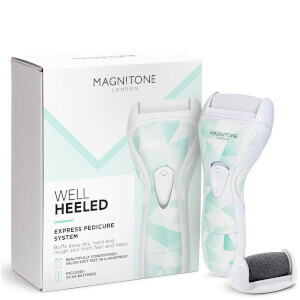 The dome-shaped, micro-crystal roller reaches around the curves of the feet to ensure each area of the foot is expertly treated, buffing the feet to perfection.